One of the most common health hazards of modern time is excessive fat deposition in the body. A very large portion of the human population is affected by it all over the world. Being overweight is the condition of energy imbalance in the body. This imbalance is reflected as storage of fat. Obesity is a large-scale social and medical problem all over the world and refers to having too much body fat. This could cause a host of medical problems like osteoarthritis, gallstones, liver problems, heart diseases, high blood pressure, high triglycerides, high cholesterol, diabetes, sleep apnea etc. Apart from eating too much, obesity can be caused by excess alcohol consumption, menopause, hypothyroidism, not exercising etc. The first step to fighting obesity or being overweight is to start a weight loss program. This includes following a strict diet, exercise and in some cases even surgery. There are so many ways to manage weight. Several herbs and spices can also help in weight loss/management. Turmeric is one such spice. Research has indicated that turmeric can help in your weight loss efforts. In this article, we will discuss it in detail. Turmeric scientifically known as Curcuma longa is one of the most relished spice. It belongs to the family Zingiberaceae, to which many spices belong. The rhizome of turmeric is used in the dried or fresh form in cooking, cosmetics, and traditional medicines. It has numerous bioactive compounds that endow several medicinal benefits to this spice. The most active and versatile of these compounds is the curcuminoids, especially curcumin. These compounds provide turmeric with anti-inflammatory, antioxidant, anti-microbial, analgesic, thermogenic properties and many more. Turmeric can assist in weight loss in several ways. Turmeric prevents fat accumulation and promotes browning of white adipose tissue. It has has a thermogenic action which helps in fat burn. Turmeric is also known to accelerate diet-induced weight loss. Apart from this turmeric can help with other conditions commonly associated with excessive weight – diabetes, heart issues, depression etc. Accumulation of fat in the adipose tissues or other tissues such as those of stomach and liver is characteristic of excessive weight and obesity. Angiogenesis (formation of new blood vessels) in the white adipose tissue is linked to the fat accumulation in the obese people. In order to reduce this fat accumulation the angiogenesis in white adipose tissue needs to be targeted. Turmeric can be useful in this. The turmeric constituent, curcumin can prevent fat accumulation in the adipose tissues. In a study, it has been shown to modulate the metabolic activities in the white adipose tissues that prevent angiogenesis. This, in turn, results in decreased fat accumulation. Curcumin has also been found to decrease the size of adipose tissues, i.e. lower fat accumulation in over-weight patients. The body measurements of these patients showed significant reduction of fat. It means turmeric can prevent the fat accumulation in the adipose tissues and other organs. This can be useful in avoiding further weight gain in over-weight or obese people. Thus, this can be very helpful in managing weight. Diet is a very important component of weight management. The calories that we consume through our diet require to check in order to prevent weight gain. Reduction of high-fat diet intake and consumption of food that help in weight loss is useful. There are several dietary products such as spices like turmeric which assist in the diet induced weight loss. The carbohydrate fraction of turmeric is not absorbed by the body which is helpful in fat reduction and prevention of weight gain. Also, the dietary fibres of turmeric help in this. Other studies have also shown the efficacy of turmeric (curcumin) in accelerating the weight loss induced by dietary changes. In a study, overweight individuals were put under weight loss treatment through diet and lifestyle interventions. Some of them did not show significant weight loss and were then treated with curcumin. These individuals after the curcumin treatment showed an enhanced weight loss. There was a significant increase in fat reduction and BMI was also found to decline considerably. It means turmeric use can assist and accelerate the weight reduction induced by diet. The dietary fibres and non absorbable carbohydrates of turmeric assist in this. Brown adipose tissue in humans has a significant function in heat production. This heat production comes at a cost of combustion of glucose and lipids. This novel action of the brown tissue is gaining popularity as a therapeutic potential against obesity. It has been observed that white adipose tissue can undergo browning and become an energy liberating tissue instead of a storing one. There is a role of norepinephrine (a neurotransmitter) in the function of the brown adipose tissue. The turmeric constituent, curcumin is found to be a promoter of browning of the white adipose tissue. It elevates the levels of norepinephrine which induces the browning process. This action of curcumin, in turn, can prevent obesity by promoting the burning of accumulated fat in the body. 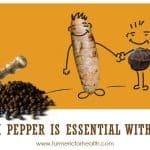 It means consumption of turmeric can promote burning of fat by inducing browning of fat storing white adipose tissues. This can be very effective in preventing excessive weight gain. Thermogenesis is a metabolic process that involves burning calories in the body for energy expenditure. This process promotes weight loss. Increasing thermogenesis in the body through diet is seen as a practical and feasible approach towards weight management. Many dietary products such as green tea and spices are known to promote weight loss through thermogenesis. Ginger, another spice of Zingiberaceae family is known for its thermogenic action. Its components gingerols and shogaols have been identified as potent thermogenic substances. 6-gingerol has been found to regulate metabolic rates in the animal model. Turmeric has a presence of these components therefore, it has the potential of being a thermogenic substance. It means intake of turmeric in diet can promote weight loss by its thermogenic action. An increased metabolic rate in the body burns the calories and stored form of energy and thus promotes weight loss. Inflammation is greatly associated with obesity or excessive fat deposition in the body. In cases of obesity, the accumulation of pro-inflammatory substances (IL-6, TNF-α etc.) has been found. Adipose tissue produces substances called adipokines, some of these such as IL-6 and TNF-α have inflammatory action. In the case of obesity or excess fat deposition, the inflammatory action of these adipokines leads to the production of oxidative stress. This inflammatory response further leads to other diseases like metabolic syndrome, cardiovascular disorders, diabetes, etc. Turmeric being an anti-inflammatory substance can be very effective in targeting the inflammatory action of adipokines. Curcumin’s antioxidant and anti-inflammatory action is known to target the obesity-associated inflammation. It down-regulates the activity of adipokines and up-regulates adiponectin (regulates glucose and fatty acids levels) and thus decreases the oxidative stress caused by inflammatory adipokines. It means use of turmeric can reduce the inflammation and associated oxidative stress and thus be useful in preventing the disorders related to the obesity. The risk of diabetes is one of the most common among overweight or obese individuals. Therefore, prevention of this disease becomes very important. Turmeric comes in handy here as well. It is known for its efficacy in the treatment and prevention of diabetes. The antioxidant and anti-inflammatory actions of the curcuminoids, especially curcumin have a great anti-diabetic effect. These substances lower blood sugar levels. Curcumin has also been found to be significantly active against diabetes associated with obesity. It means turmeric consumption can reduce the risk of diabetes among the obese individuals. The anti-diabetic effect of turmeric can be useful in the treatment of diabetes among obesity patients. Metabolic syndrome is another prevalent risk factor associated with obesity. Fat accumulation around the abdomen causes metabolic changes that cause metabolic syndrome, i.e. the risk factors that lead to coronary heart problems. The reduction in weight can lower the risk of metabolic syndrome. Turmeric is an efficacious agent against metabolic syndrome as well. It lowers the cholesterol, triglyceride levels, and blood sugar levels, and collectively acts against the condition. Turmeric along with black seeds has been found to be very effective in metabolic syndrome prevention. It means use of turmeric can help in prevention and treatment of metabolic syndrome among the obese individuals. Depression is another complication associated with obesity and overweight that has a detrimental effect on the patients. Many studies have confirmed the relationship between obesity and depression both ways, i.e. obesity can lead to depression and vice-versa. The metabolic disturbance caused in the body by obesity is linked to the depressive behavior in the patients. These disturbances include inflammatory signals, insulin resistance, and hormonal disorders. It means consumption of turmeric can be helpful in the reducing the depression related to obesity and overweight. The anti-depressant like activity of turmeric can also be useful in preventing the risk of obesity caused by depression. There is no particular prescribed dose of turmeric defined for obesity. 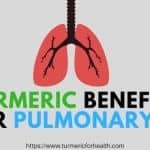 Based on the studies and reader’s reports we have summarized various ways of taking turmeric which could benefit in this condition. Various studies have investigated the beneficial role of turmeric in obesity. Start with small doses such as 1/4-1/2 tsp and if you see no side effects then increase the dose by ¼ teaspoon every week. Continue till reaching a dose of 1-2 tsp 2-3 times a day. This is the ideal dose of Golden Paste where you should experience some benefits. However, the ideal dose differs with every individual; some may need less some may need more. Turmeric tinctures are considered to be very beneficial as they pack tremendous potency in a small dose; but there is not much evidence about its efficacy in obesity and weight loss. Dietary use of turmeric is regarded as very safe. Many cuisines use turmeric regularly as a spice and no adverse effects have been recorded due to its culinary use. Curcumin in turmeric interferes in drug metabolism activity. 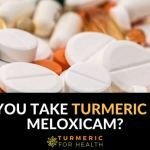 Though dietary turmeric should not pose any risks, if taking large doses of Golden Paste or curcumin supplements then avoid taking it at the same time as taking any medication. Maintain a 3-4 hour gap. Bleeding disorder patients should not consume turmeric. Although the dietary use of turmeric is safe in bleeding disorders turmeric supplement should not be used. This study was conducted to analyze the effect of curcumin on obese people already undergoing lifestyle changes. The focus was primarily on glucose intolerant and insulin resistant overweight people. The study included 44 obese individuals having a BMI of 25-29.9. These patients didn’t have prior exposure to anti-inflammatory drugs or had a history of suffering from diabetes, liver, renal or cardiac diseases. They were tested at an interval of 30 and 60 days. The 30-day interval was to check the effect of lifestyle changes like diet & exercise. The next interval (30 days after this one and 60 days after the start of the trial) was to test the effect of curcumin on the participants. After the 1st interval (30days) there was < 2% weight loss amongst the participants. For the next interval (60 days after initiation), 22 of them were treated with curcumin (2 times per day for a month) and the other 22 with a supplement containing phosphatidylserine that served as a placebo (dummy pill). The goal was to make anthropometric measurements like waistline, hip measurements, body mass etc. In the first interval (30 days), there was 1.88% weight loss, 2.10% BMI reduction and 0.70% of fat reduction, 2cm decrease in hip & waistline observed in both groups. Thus this interval proved, lifestyle changes didn’t bear drastic changes. The curcumin-treated group showed a marked change in their anthropometric calculations. In contrast, the 2nd interval (60 days) showed 4.91% weight loss, 6.43% decrease in BMI & 8% fat reduction, 4 cm decrease in waistline amongst the curcumin. No significant changes were observed in the phosphatidylserine group. Researchers demonstrated that in the curcumin group the chance to lose weight was about 1 kg every 10 days (this was based on 60-day observation). Considering the first 30 days, weight loss was around 500g every 10 days due to diet and lifestyle changes and for the next 30 days, it was around 1.3 kg every 10 days when curcumin treatment was given in addition to diet and lifestyle intervention. Overall the study highlighted the anti-obesity effect of curcumin on obese people undergoing dietary restrictions and following exercise routines. Curcumin plays a crucial role in reducing obesity and health-related problems of obesity. Curcumin exerts anti-inflammatory and anti-oxidant effect in adipose (fat storing) tissues. It reduces the expression of pro-inflammatory chemicals like TNFα, MCP1 which further blocks the expression of different biochemical pathways like NF-ᴋB activation. It increases adiponectin (anti-inflammatory hormone) level in adipose tissues. All this helps to reduce adipocytes (fat cells) cell, divisions. Brown fat belongs to the “good fat” category, unlike the conventional the term “fat” we generally use. This brown fat doesn’t store energy instead they transform to thermal or heat energy. Curcumin converts white adipocytes to brown adipocytes by altering the genetic expression of cells (epigenetic modification). It activates PPAR gamma, a fat burning gene which helps in making healthy fat cells. Curcumin prevents liver cells form storing fats, thus preventing liver disease associated with obesity. It enables proper functioning of the insulin-secreting cells of the pancreas (β cells); thus maintaining the normal level of insulin in the body and preventing diabetes& hyperglycemia associated with obesity. It lowers the level of tri-glycerides and LDL cholesterol. This restricts cortisol formation from cholesterol by the adrenal glands; hence preventing cortisols deposition in adipose tissues which could lead to inflammation and enhanced fat deposition. Curcumin regulates the expression of 11-βHSD1 by inhibiting it. 11-betahydroxysteroid dehydrogenase type 1 (11-βHSD1) is the enzyme which converts inactive cortisone to active cortisol. Cortisol is a plays a potent role in visceral fat (harmful fat) accumulation in the liver & kidney. This implies a daily intake of curcumin/turmeric hastens the process of weight loss in people. A change in lifestyle does require time and is a gradual process. While regular intake of curcumin along with lifestyle changes brings a drastic change in a short span of time. A comprehensive weight-loss program should include curcumin in the diet. It bears visible anthropometric results in a limited time. This study was carried out to determine the effects of curcumin on inflammation, muscle damage, and delayed onset muscle soreness. This study took place on 17 men and determined the effect of oral curcumin supplements on DOMS following heavy eccentric workout regimes that the men are not accustomed to. Out of the 17 men, some got oral supplements of curcumin (2.5 grams twice daily) starting two days before till three days after the workout, while the others got placebos in the same manner. The workout was eccentric single-leg press exercises (including gluteal stretch, squats, and squat jump). These measurements were taken to understand the effects of curcumin on muscles post workout. The measurements were then compared to conclude whether curcumin had any effect on delayed onset muscle soreness. As per the results, there was no pain decrease in pain immediately after work out. This showed that the curcumin hadn’t had any effect on chronic pain. At around 24 hours post work out, there was a moderate decrease in pain (calculated by the VAS scale). And finally, 48 hours after the workout, there was a significant amount of decrease in pain. There was a decrease in the creatine kinase (an enzyme that is indicative of muscle damage) activity in the 24 to 48 hour post-workout period, showing a decrease in the swelling post workout. As per the results, immediately after the exercise, there was an increase in the interleukin-6 concentration. Around 24 hours after the workout, a decrease in the interleukin-6 concentration was evident. Finally, 48 hours after the workout, there was a slight increase in the interleukin-6 concentrations (an inflammatory agent produced in the body), reaching the baseline. The overall performance of participants improved in the time span of 24-48 hours post workout. There was an average increase of 15% in the height during a single leg jump. Curcumin is a plant chemical that is found mainly in turmeric. Turmeric is a yellow, Indian spice that is a plant from the ginger family. Curcumin has a wide range of medicinal uses as it has anti-inflammatory, anti-oxidant, pain killing and a wide range of other properties. As mentioned before, after a strenuous workout, muscle injury leads to inflammation which leads to pain. When muscle damage takes place, a neutrophil (a type of white blood cell) respiratory burst occurs in the body. This leads to the generation of oxygen radicals. These oxygen radicals are highly important for clearing away the tissue debris that has been leftover by post-exercise muscle damage, but they can initiate further damage, leading to the acute inflammatory response. Since curcumin acts as an anti-oxidant, it can remove the oxygen free radicals and prevent the further formation of these radicals, thereby decreasing the inflammatory response, leading to less pain. Inflammatory genes can cause a release of various inflammatory molecules which then lead to inflammation, followed by pain. Curcumin blocks a molecule called NF-kB. This molecule has the potential to enter the nuclei of cells and activate inflammatory genes, causing the production of cytokines (cytokines are substances that are secreted by cells of the immune system and have an effect on other cells in the body.). Because curcumin can block this molecule, inflammation is prevented, causing a decrease in pain too. These substances are known to act as inflammatory mediators, and through their blockage, pain, and inflammation can be relieved. Studies suggest that the COX-2 blocking property of curcumin allows it to have similar results to its counterpart in allopathy, NSAIDS, but with lesser side effects. Curcumin can further act on muscles to increase their mobility, increase the rate of muscle regeneration, and eventually decrease the muscle recovery time post workout. Delayed onset muscle soreness is the pain that is present in muscles 24-48 hours post-workout due to damage that occurs to the muscles during exercise. 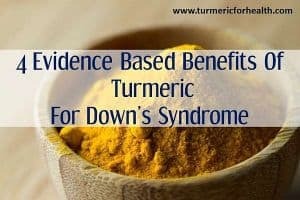 Curcumin, which is an important compound present in turmeric, is highly effective in decreasing the pain present in DOMS. Curcumin is beneficial due to its anti-oxidant and anti-inflammatory properties. Turmeric Milk can be a healthy option for recovering from DOMS. Turmeric’s potential for weight loss is immense. It has a diverse range of action that helps in weight reduction as well as the prevention of fat accumulation. Turmeric prevents fat accumulation by its anti-inflammatory activity and its ability to turn white adipose tissue into brown. It also increases the rate of metabolism in the body. Turmeric is also helpful in combating and preventing the complications that arise due to obesity. Moreover, depression caused by obesity or obesity triggered by depression can be avoided by the use of turmeric. It can be inferred that turmeric is a reasonable and feasible option for weight loss. THE STATEMENTS ARE FALSE AND NOT CORRESPONDING TO CLINICAL FINDING. THE BENEFICS OF THIS PRODUCT CAN BE SPOILED BY SUCH AMISLEADING PRESENTATION. THE PERSONS WRITING THIS PRESENTTATION DO NOT KNOW AT ALL THE PRODUCT. PLEASE UPDATE OR REMOVE THIS TERRIBLE PRESENTATION. you wrote the amazing article. And can you help me out? how do you search the article or is there any formula to get the good article. I want to see and want to lose my weight and I will tell my friends as well this is amazing. And thank you so much to write this article. please, some more help people god bless you, sir. I tried to purchase your Tumeric for Diet via the Internet. I live in Israel, not the USA. I filled out your Internet form, and my purchase was not OK’d by Tumeric. It is being OK’d during about 1.5 hours. I think there is a problem. I used my Israeli email, and I used my mobile cell phone number, which is not the number that my automatic AUOFILL email filler outer uses. I would like to cancel that order, and fill out a new order, using my GMAIL address and my HOME not-cell phone number. I need to lose only 5 pounds. Can you cancel my first order, and allow me to order again. TODAY, May 5, 2018.
this web page dailly and obtain nice facts from here all the time. Losing weight is a difficult task. After people drop the pounds, they may feel compelled to keep up with this adventurous attitude by trying new things they would have never considered in the past. Yes, eleven years ago I was a vegan weighing 300lbs, but not impossible as of all the food masked on the shelves and cooked foods. I went raw vegan and lost 150lbs in a year. I have kept it off for ten years and really jazzed about being raw vegan in the face of a lot of criticism. Good luck in your life style. 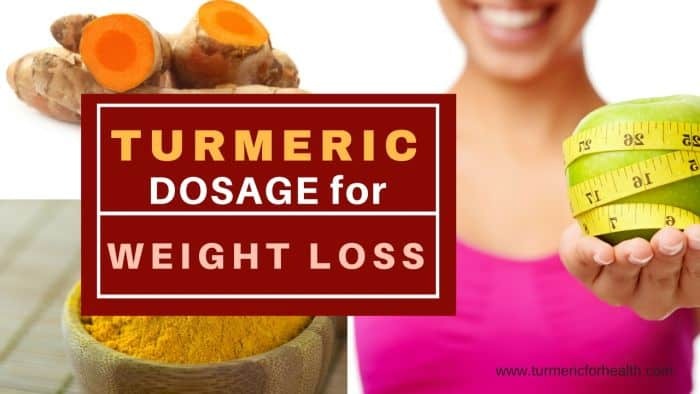 I have been using turmeric for weight loss in the past few weeks for dumping the ten lbs each winter and it worked – dropped the ten in two weeks using only 3gm turmeric each day. This newsletter showed you can used 18.6gm per day and I thought that was cool. Hello, my name is Beatrice and am a Nigerian. Thanks for the article, please I need your help to reduce weight with the use of turmeric, am overweight and people look at me strangely. Please help me out. Thank you. I am glad you stated in this newsletter the 1 teaspoon turmeric 3 times a day. I am trying to get svelte insofar as I am a long distance runner and when body fat is lower better speed. Beatrice get on the turmeric. I used only 3gm per day and lost ten lbs. I am going to up the gms to 18 needing to shed five for svelteness. Thanks TurmericForHealth – you guys are great! I have started taking turmeric and hope it will help me with some weight loss but even if it doesn’t it has helped me with a UTI. 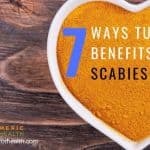 I have tried all kinds of natural treatments that is supposed to help and none of them have helped much. My sister had diabetes and died from bladder cancer so I have been concerned about it but do not like to take medicines. I noticed a difference after taking it a few days. I hope it keeps helping me. I started taking Natures Truth Turmeric Curcumin with Pepper Extract 500 mg back in April. I have been taking 1 in the AM and 1 in the PM. I have also been eating healthier. I swear the Tumeric has given me more energy to help with my weight loss. I have lost 15 lbs since I started this. I am very happy with this product! Hi Kimberly. Thank you for sharing this. Wish you great health! 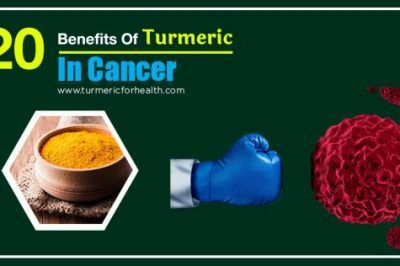 I am Meaza from Ethiopia I am proud of myself to see how Turmeric doing best for our body and every part of entire life with out any side effect . Wow !!! I want to be a member of this site and need important books and how to buy ? Hi Meaza. We are glad to hear that you appreciate the health benefits of turmeric. 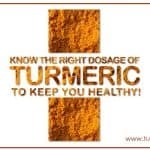 Please like our Turmeric For Health page on Facebook (you will find the box with Facebook page link in the right hand side column) and also sign up for our newsletter so that we can keep you updated on latest turmeric research. Any other queries please email us at [email protected] and we will try and help you with the same. Turmeric is one of the most powerful substances for weight loss. The phytochemical “curcumin” plays a crucial role in facilitating weight loss & its related metabolic disorders. While increasing your intake of turmeric isn’t a lone strategy for weight loss, it may help you mitigate the inflammation associated with obesity and give you a boost in fat burning. Thank you for sharing its benefits with us. I have a nose polyps problem, so please tell me can turmeric is helpful to me or any other option do you have. Hi. We have not come across any scientific evidence that suggests turmeric may help in nasal polyps. However turmeric may help mitigate causes of nasal polyps such as asthma, infections, allergies etc and may help reduce inflammation. You can take Golden Paste as an add-on therapy. Please consult a health practitioner regarding the treatment for nose polyps. 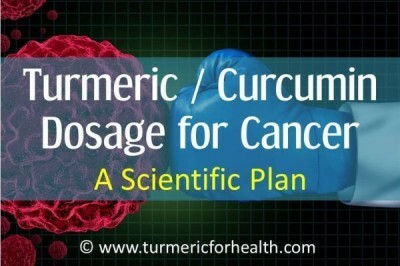 This is a great site about turmeric and curcumin. 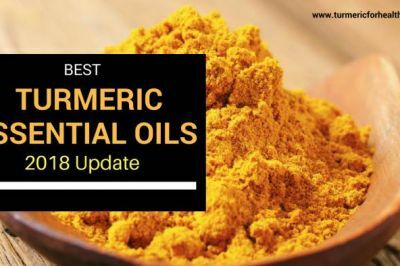 But recently I have read a 2017 paper saying that turmeric is basically ineffective and masks inflammation and does not give the usual health benefits that it is has always been well known for. If true, then this is very disappointing about turmeric. Hi. Thank you for mentioning the reference. We would have to research before we get back with a definite answer. Curcumin in turmeric is found to inhibit both COX and LOX pathways and can regulate more than 10 biochemical targets in order to inhibit inflammation, so there is no reason as to why it would mask inflammation. But yes the effect can be concentration dependent and one must take into account its poor absorption as well. We will research as well as get an opinion on this and get back about it. I have pcod and planning to make detox water using fresh turmeric root. I already have a heat body so was wondering if this root causes heat or cold to the body. Pls reply. Thanks in advance. Hi. We would recommend consulting an Ayurvedic practitioner with regards to this. Is it safe for anyone who is taking Eliquis, which thins the blood to take the spice Turmeric? im suffering from ulcers, can i use tumeric? Turmeric benefits in oral and gastric ulcers. It is advisable to include turmeric in diet in small amounts at initial stages. Can i take turmeric tea in empty stomach..? If you do not face any stomach problems or acidity issues you can consume turmeric tea on an empty stomach. But to avoid acid reflux like conditions it is advised to take it after meals. Hi…my aunt is taking turmeric tea … ingredients are turmeric one third tea spoon , cinnamon,black pepper and ginger in hot water and taking it empty stomach in the morning and 20minutes after dinner ..but it is causing bloating. Plz suggest me how to take this tea in night ..I am confused whether to take it just after dinner or how. Hi Vivek. The ingredients of the tea is great for digestion. Ginger and turmeric are carminatives so they shouldn’t cause bloating. Rule out other causes of bloating first. However if you are sure that the tea is causing bloating then its best to consume after a meal say after breakfast in the morning and immediately after dinner at night. 20 mins after dinner is fine. If you are still facing bloating avoid consuming turmeric as tea. I find that I have done very well specifically in that I was 360 pounds and now I’m at 290 and I drink it twice a day not eating after 6pm and drinking a cup at around 7pm and after being up in the morning for about an hour. but I do add a teabag of green tea. I have noticed an increase in my ability to fall asleep, quality of sleep and my energy. My skin is looking better, I have also noticed more energy. My belly is gradually getting flatter. I have hypothyroidism, and while I eat a real, mostly organic diet, I have noticed these extra benefits over the last month. Since I have started drinking golden milk every night. I simply mix 8 oz. almond milk with 1/2 tsp of organic ground turmeric, 1/2 tsp of organic ground cinnamon, 1/2 tsp of organic ground ginger, a pinch of black pepper, and a drizzle of local honey. I warm it in the microwave, gradually, and viola! My mother does not like the taste of turmeric and therefore I have started her on a turmeric supplement. She has osteoarthritis and chronic pain in her hip, knees and ankles from a traumatic car accident. She was hardly able to walk through the house without having to take several prescription pain medications. After 3 months of taking a turmeric supplement she can now walk 1 1/2-2 miles a day! She is now completely off of all of her prescription medications (heart pills and cholesterol pills), including pain medications. Needless to say, I am a believer! This is fantastic, Lisa. Thank you for sharing this. 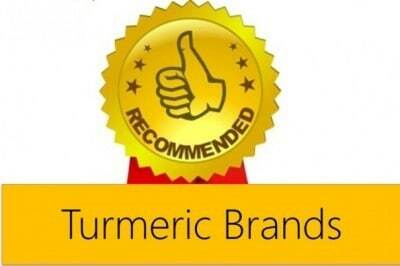 We are glad to hear that turmeric has benefited you and your mother. Wish you and your family great health! Hi Lisa. Thank you for your feedback. Glad to hear that turmeric contributes to your health positively. when is someone going to answer Lynda Paggett Jeffersons question before I buy your product this lady has been waiting since January 2015 its now October 2016!!!!! Hi. The effect of turmeric on weight loss depends on the individual but needs to be combined with good diet and exercise. This study shows that curcumin can cause weight loss of 1kg every 10 days. Also we do not manufacture any products but we do recommend products that can be utilised to make Golden Paste. It is advisable to take Golden Paste.You can take Golden Paste. Start with small doses such as 1/4-1/2 tsp and if you see no side effects then increase the dose gradually to 1-2 tsp 2-3 times a day over a few weeks. Best taken with food to avoid acid reflux. Avoid taking it at the same time when you take other meds. Hi. The effect differs for every individual. Turmeric should be combined with calorie restricted healthy diet and exercise to observe benefits. Can i add tumeric powder to my oatmeal and how much? Yes absolutely you can add turmeric powder to your oatmeal. Around 1/4-1/2 tsp should be fine depending on how you like the taste. why can’t you take it if your diabetic? Turmeric supplements have blood sugar lowering effect and this effect could add to the action of diabetes medication lowering blood sugar abnormally. Therefore they are not advised if you are already on medications but recent research shows that it is safe to take curcumin/turmeric supplements with certain anti-diabetes medication. Turmeric in diet is absolutely safe and you can take it therapeutically for diabetes. 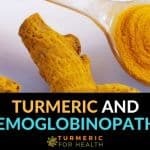 Can you add Tumeric powder to just water and drink it, if so how much Tumeric should you use? The active ingredients in turmeric are not soluble in water, so its not advisable to take turmeric in water. However they are soluble in oil. 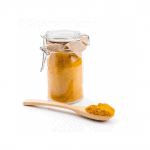 A good way of taking turmeric is Golden Paste. You can start with 1/2 tsp daily and increase the dosage gradually to 1-2 tsp 2-3 times a day or how it suits you. Can u add tumeric to water or powder mixed drinks if so how much can i use a day? I recently started using turmeric but with flax seed meal and I saw results in a week, I loss 5 pounds and was happy to see the difference in my clothes. I mix the turmeric and flax seed in my cereal, my soup and my hot chocolate at nights which gives me a good sleep. Ermine, thank you for sharing your experience. This is great news. The results and time taken differs from individual to individual. However Golden Paste can be taken daily for life. 1 month is a feasible time to see results. Wendy, thank you for sharing your experience regarding turmeric. Glad to hear that it benefits you. Can someone tell me how many milligrams of ground turmeric is there in a teaspoon? I personally believe that everyone starts out before some research thinking that high carb low fat diet is the healthy/best diet. So every few years somebody comes out with a new diet that is not high carb low fat, Atkins/keto. The reason these diets work is how people lose weight better. With high carb diets you need to eat more often but smaller meals than a more balanced macro diet. With higher fat/protein diets you don’t need to eat as much because you feel more full but is usually more calorie dense. Paleo is also along the same sort of lines where it is more balanced but its focus is on more natural foods. Eating less processed food is good for you and often makes you feel better because processed food is made to taste good not be healthy. It will require a month’s time to see any visible difference. If you observe a difference such as shrinkage in size then you can continue the therapy. Where do you buy the tumeric? Health food shop? If powder how much per day, a teaspoon, a tablespoon ? Do you mix it with water? Hope someone can give right instructions. Facebook has a turmeric group that I’m on.. It answers all your questions. 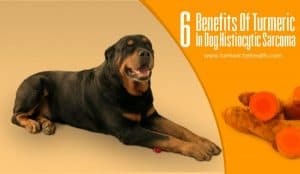 Another Awesome aspect of turmeric is that its safe for your pets to ingest mixed properly with their food. No side effects. I take a teaspoon twice a day of turmeric. The organic turmeric, I found it in Target. Really helps with weight loss as long as you are reducing your caloric intake daily. It helps when you reach a plateau. Golden milk is a delicious way to add oil and pepper as well since they make the turmeric more effective. Look up the recipes and choose one that uses coconut oil. If you like chai lattes…you should like this. I got fresh tumeric to mix with honey. How much tumeric should I used? 1/2 -1 tsp a day should be fine. You can also take Golden Paste. Start with 1/2-1 tsp and gradually increase to 1-2 tsp 2-3 times a day or how it suits you. Turmeric has a great effect on the Human health. it works as a antibiotic on various type of healthy issue. I think to gain the fitness goal with choosing right food running also include in a regular basis. through Treadmill running is so much enjoyable. you guys can check out to find the latest and various type of treadmill as you demand. I take tumeric with soy milk. Its delicious that way!!!. Lost some inches without diet or exercise.!!! How much tumeric are you mixing into the soy milk ? I purchased the organic powder and I believe the guy said take a teaspoon full a day but just once a day or all with meals? Jenny, great to hear that turmeric helped you in weight loss. I just started using turmeric for weight loss and insomnia. Read that using about 1 tsp in about 2 cups of coconut milk (I used that carton kind), along with 1/4 tsp. of pepper and honey or real maple syrup to taste. Warm this, but do not let it come to a boil. It was very good, and I fell to sleep easily last night. It was called “Golden Milk” in the article. I hope this works as well on my weight reduction. I also started sprinkling turmeric and pepper on my eggs, as I read turmeric needs pepper to be absorbed good. Hi! I’m not fat but hade some extra kilograms after having two babies in my 40 ties . So one month ago I started drink milk with turmeric, cinnamon and honey in the morning before the breakfast and before to go to sleep…. it works wonders! Iv lost 4 kg and this drink just give a kick to my metabolism !!! The kg are just disappearing !!! Even without sport activity! Of course I’m not ‘ pigging out ‘ with food, watching what I’m eating. I’m so so happy! It wouldn’t be doing anything.. Turmeric first has to contain curcimum. Organic is best.. Cheap brands msy be low grade. Use quality coconut oil.. Not milk the fat in coconut oil helps the body absorb the turmeric, without the carrier oil it will go straight through system. Black peppercorns grounded. Contains pipirine and mixed together you have your golden paste. 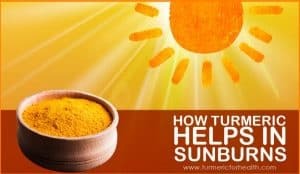 Go to Facebook turmeric users group for golden paste cooking method. Honey mainly for taste. hi sandra, how much of each do you use and what sort of milk. Do you use turmeric powder or the fresh one? Thank you for sharing your experience. It is great to hear that turmeric helps with insomnia, since there hasnt been much research on this. Keep a tab on the amount of honey you use. It should help in weight loss. I know I am a bit late to post, but I just heard of this herb. I have really bad arthritis in my left foot and it is deformed due to an accident. I have went from 252 lbs to 170lbs and now can’t loose anymore. Due to my disability I can’t exercise like a regular person would. So, my question is since I want to use the powder and not the supplement, and I want to use it for both weight loss, and health benefits how much should I take and how often? I have several problems due to an auto accident. I spent a year in a wheelchair and learned how to walk again. I have also had 13 surgeries from both of my feet being crushed. My right foot/ankle has 5 pins and a plate in it, and my right foot has 16 pins and 5 plates in it. I have noticed that my feet aren’t as bad since I lost the weight, and I’m sure that that’s a natural occurrence. If I could loose the last 40 lbs I feel that I would feel even better. I am so excited to try this, and any and all advice would be greatly appreciated. Thank you so much! Sorry, I wrote that wrong. My left foot has 16 pins and 5 plates in it. My right has 5 pins and a plate. Thank you. then just increase the amount you add to your meals! Method.. Mix turmeric and some of the water together in a saucepan over medium heat and add water to stop getting too dry stirring and watching don’t let it burn for 10 minutes or so.. Get a good consistency.. Then add coconut and pepper.. Stir in. Let cool. Put in glass jars. Use within 2 weeks. Kelly we would advise you to take turmeric as Golden Paste. You can start with 1/4 to 1/2 tsp a day and gradually increase the dose to 1-2 tsp 2-3 times a day. This should definitely help with weight loss and benefit in arthritis too. Try taking turmeric with black pepper and/or oil. This helps in absorption of its active ingredients. Golden Paste incorporates all these components. Dietary turmeric is safe for diabetics. Turmeric has blood sugar lowering properties and hence supplements are not recommended when you are already taking blood sugar lowering drugs. I understand your situation. I was 265lbs now down to 21 lbs in 14 weeks. I have been starting my day with juice (with my juicer). It’s made with a full bunch of celery (great for depression), 6 carrots, 6 green apples, a zucchini or a cucumber. I started out drinking this daily for 2 months, but have since cut it down to 4 times a week. I have a chicken broth with onions, garlic, tumeric and cracked black pepper and olive oil, once a day. I have cut out all processed foods, tea, coffee, soft drinks etc.. and definitely no processed sugar. Believe it or not, ive not once craved chocolate or red meat (and I was a meat and 3 veg girl), and enjoy being free of my fibro myalgia, depression, headaches, lethargy, reflux.. oh the list goes on! If you’d like to check out a great website, it’s called ‘Fat, Sick & Nearly Dead’. Sorry, make that 210lbs .. typo! Thanks Samantha I am looking for ways of improving my health after being diagnosed with vertigo and fibromyalgia would b glad to hear of any natural ways to help feel better–normal?! 2000mg would the dosage of turmeric supplements which are standardized curcumin extracts. That is a roughly high dosage. We would advise you to take Golden Paste starting with 1/2 tsp a day and 1-2 tsp 2-3 times a day or how it suits you. Preferably taken with meals. A recent study said it favored very well above expectations for depression. Verses Prozac..Yay! Stuff is Gold! What about the natural tumeric grown is that better to use and how do u measure ur intake ?? u may add one table spoon of intake. Start with 1/4-1/2 tsp and work it up to reach 1-2 tsp 2-3 times a day or how it suits you. Preferably taken with or after meals. How much did you take in order to lose weight? And how much did you lose? It may aid weightloss but don’t expect miracles if you live an unhealthy lifestyle. It helps to detox liver..and helps with a lot of illness and may even prevent some cancers. I was recently diagnosed with MRSA. I decided to take turmeric as well as the prescribed antibiotic. However, after going through four antibiotics I found none that worked for me. So I’m taking 2,000 mg of turmeric a day. This has had the added benefit of breaking through my weight loss plateau. I used to think that 165 pounds and a US size 16 was the smallest I could get, because my ribs were bony at that weight. I carried it well, and even the doctor thought I couldn’t lose any more weight. Three weeks later, I’m now 155 pounds and between a US 12 and 14, and lost a band size on my bra. I’m excited. My family was into natural healing and had tried a lot of things in conjunction with a vegan diet and lots of exercise, and I still only hit a US 16. I haven’t been this weight since I was 15, which was 18 years ago. Hi Revenwyn, thanks 🙂 While we have heard people loosing weight with turmeric, this is by far is the quickest ! how do you make if you wish not to consume the supplement? Hi there. May I ask how long it took to lose the weight with your daily dose of turmeric? Does the turmeric make you smell bad when you sweat? Because I know that’s what happens when you eat is as a spice I food, but if you were to make you’re own capsules with it that would release the turmeric inside you’re stomach, would you still smell? Basically my question to you is, when you ate this for three weeks, when you worked out or sweat at all, did you smell badly of turmeric? 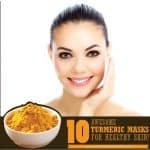 Turmeric smell can be taken care of by including 1 tsp of cinnamon powder in Golden paste. Thank you for sharing your experience about turmeric. Wish you good health. Hi, when you take turmeric as a spice there seem to be no issues. Millions of mothers in India include turmeric in diet when they are breastfeeding. Oh really….interesting!!! Shell how did you incorporate Tumeric in your daily diet? As tea or spice for food? Indians have been consuming turmeric for centuries and breastfeeding with no ill effects. What is the reason that breastfeeding women can’t take tumeric supplements? I’ve been using turmeric powder every other day for about a month and a half… I am losing weight and my cellulite seems to be smoothing out along with my skin really benefiting, also my digestive system has benefited… Very little gas and seems like it detoxes the body. Great for inflammation and joint pain. I’m sold. Oh yeah…belly fat melting away! That’s great! 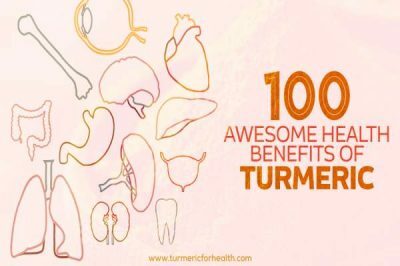 yes, turmeric has so many other benefits. Its a complete “health package”. 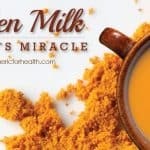 How to take turmeric…as in with milk or what?? 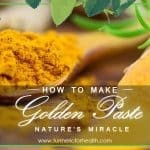 Hi, please make golden paste (https://www.turmericforhealth.com/turmeric-recipes/how-to-make-turmeric-paste-or-golden-paste) and start with 1/4 tsp per day. If all goes fine for few days, increase to about 1.5 tsp per day. Hope this helps. How much Tumeric powder do you take and how o you take the powder? How many times per day do you take it? Please need a Ton to f help and need, need help with joint pain and weight. Thank you so, so much! how much turmeric powder do you apply to your daily diet? 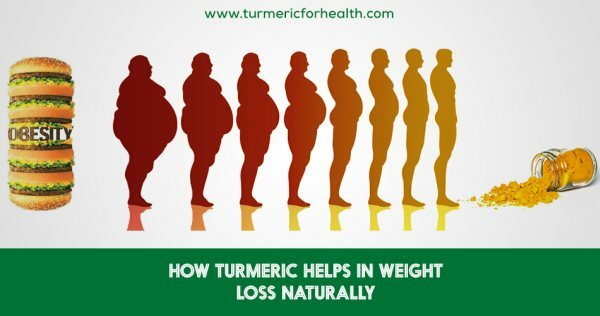 Turmeric helps losing weigh for sure. No matter how much I eat, I always stay skinny. When I stopped taking turmeric for a long period of time, I had a hard time to stay skinny. The reason I quit taking turmeric because I didn’t have to make them. This Summer I have time, so I make a lot of turmeric tiny balls. I mixed turmeric powder with honey and make tiny balls so that I can swallow easily. How many tiny balls do you consume per day? Do you lose weight or are you just maintaining? I have used 2 tbsp. of organic Turmeric Spice every day for over 2 months now along with Diatomaceous Earth (DE). I have lost 20-30 lbs. over the course of four months (unintended consequence but very happy I did). I initially started using both due to high cholesterol (BAD cholesterol was 300 – high in February). As of May 6th of this year bad cholesterol was 210 which is well within the normal range. How much DE are you taking? Did you change anything else with diet or exercise? 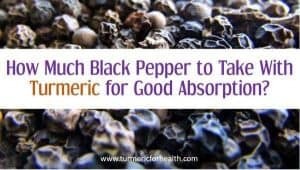 Love tumeric, and it can help with my weight. Too bad the research is not referenced. Hi Jennifer, the research is referenced. Just look out for the light brown words in the article. It will point to links. Should dosage of tumeric be relative to weight? If a100 pound person takes 1200 mg a day, should a 200 pound person take 2400? My Vitamin Shoppe brand of tumeric says to take one 300 mg capsule twice a day, but that just does not seem like it would be enough to acheive good results for my knee pain. Hi Jack, first of all I do not favor turmeric supplements much. Unless there is no other way. Turmeric should not be taken as medicine but included as part of life by including in your diet. Also, as far as research says there does not seem to be any suggestion based on weight. 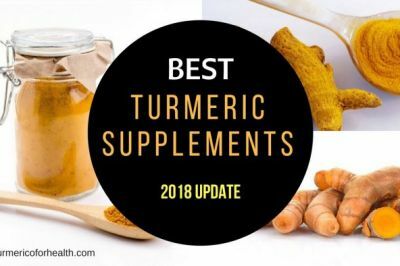 People taking tumeric supplement and getting good results are listed on several reviews, such as web md, or even amazon. If you have problems with tumeric as help to lots of common afflictions please list . From the feedback I have read of its users, it seems to be very beloved. I am using tumeric along with bromelain for my knee, and it seems to be working. 5) Supplement is much more expensive than powder. I am not saying users will not benefit, but I believe the above points make a strong case to take turmeric powder and not supplement. But again, if you wish you can always take supplements. When you say powder are you referring to the spice you buy next to the salt and pepper? Yes fresh roots work absolutely fine and taking them with ginger is awesome. Just stayed on the supplements km glad to ser jacks post ad positive. This should state ” just started on supplements. First time with turmeric. Amazon has many positive reviews regarding supplement version. Hoping it helps me. Glad to ser jacks positive review. Might consider powder if no luck with supplements. Why shouldn’t diabetic patients take turmeric? Hi, these are general precautions mentioned by doctors for turmeric. When will I notice a difference in weight loss and in size ? ?